The picture of the Palaeolithic adaptations in the Italian Peninsula has always been coarse-grained compared to various well-researched regional hotspots in central and western Europe, as a result of historical research bias preventing the application of new research methodologies. Nonetheless, discoveries regarding Neanderthal extinction and behavioural complexity, the dispersal of Anatomically Modern Humans as well as the origin and diffusion of modern technologies and symbolic behaviour in Europe have brought Italy into focus as an ideal region for understanding the evolutionary development of various hominin species that inhabited the continent in the Late Pleistocene. In particular the dynamics of the earliest human peopling of Europe, the reasons and timing of Neanderthals demise and how environmental factors affected human prehistoric behaviour, rates of technological innovation and connectivity of hunter-gatherer groups in Europe. 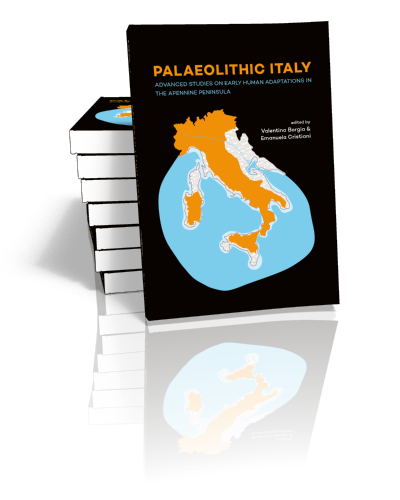 The edited volume “Palaeolithic Italy” aims to contribute to our better understanding of the previous, still open, research questions. This will be achieved by presenting the latest advances in Palaeolithic research in Italy due to the application of a variety of modern analytical methods and cutting-edge techniques when studying numerous collections of materials from both old and new excavations as well as the latest results of field research in the country. The volume is intended for the international academia, representing a key reference for all archaeologists and readers interested in Early Prehistory of the Mediterranean region. Lithic raw material circulation and settlement dynamics in the Upper Palaeolithic of the Venetian Prealps (NE Italy). A key-role for palaeoclimatic and landscape changes across the LGM? Federica Fontana, Laura Falceri, Alessia Gajardo, Stefano Bertola, Maria Giovanna Cremona, Fabio Cavulli, Antonio Guerreschi, Davide Visentin. Julien Riel Salvatore, Claudine Gravel-Miguel, Roberto Maggi, Gabriele Martino, Stefano Rossi, Vitale Stefano Sparacello. Vitale Sparacello, Sebastien Villotte, Colin Shaw, Federica Fontana, Elisabetta Mottes, Elisabetta Starnini, Giampaolo Dalmeri, Damiano Marchi. 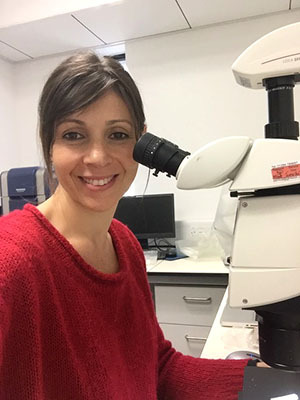 Dr Valentina Borgia is a researcher affiliated to the McDonald Institute for Archaeological Research (University of Cambridge). She received her PhD in Prehistory at the University of Siena (Italy). Her scientific background encompasses a range of topics that span from lithic and bone tools technology to Palaeolithic population subsistence economy and prehistoric art; nevertheless the study of hunting weapons has been the focal point of her research. 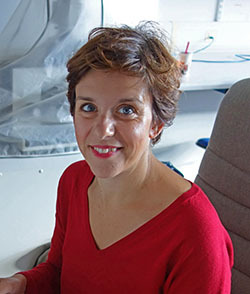 Dr Emanuela Cristiani is an Associate Professor in Prehistory at Sapienza University of Rome and she is director of the Ancient Diet and Technology Laboratory at the Department of Oral and Maxillo Facial Sciences. Dr Cristiani’s special research interest is the study of forager societies of southern Europe and the characterization of their identities, cultural traditions and dietary strategies through the study of the techno-functional choices connected with the production and use of material culture (knapped and ground stone tools, osseous artefacts and ornaments).